ORANGE COUNTY, FL – Orange County Mayor Teresa Jacobs invites you, your family and friends to the Second Annual Spring Festival and Battle of the Bands on Saturday, April 18, from 10 a.m. to 3 p.m. in Barnett Park, 4801 W. Colonial Dr.
“It’s a special time where we can enjoy the musical talents of the bands that are competing and share the festivities with our families and co-workers,” Mayor Jacobs said. The inaugural event was held in November 2013. Citizens will enjoy an exciting and festive day with free entertainment and activities for children. Attendees can bring a picnic or purchase culinary favorites from food trucks, including Basil’s Barbecue, Bem-Bom, Twin Tigers Ice Cream and Kona-Ice Shaved Ice. For the Battle of the Bands contest, each group must include at least one County employee or immediate family member of an employee. The winner will be chosen based on a 30-minute performance judged by a panel of experts: Ben Gardner, OrlandoBands.com CEO and founder; Tod Caviness, Orlando Sentinel nightlife columnist; and Thomas Bolen, former FAMU Marching 100 drummer and longtime musician. The winning group’s name will be engraved on the Mayor’s Cup and placed on display in the Orange County Government Administration Center. This year’s competitors are Backyard Band, Arriba El Son, Low Bid Band, The Down Brothers Band, The Unreasonable Men, Speakeasy Band, New Life Cavaliers and Ritmo & Sabor. The 159-acre Barnett Park, named after Pine Hills developer Gordon Barnett, offers a variety of amenities: walking path, playground, splash pad, skate park, disc golf, tennis courts, basketball court, golf driving nets, putting greens, sand volleyball, cricket pitch, ball fields, boat ramp and lake fishing, as well as indoor recreation facilities and a fitness center. 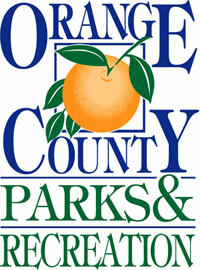 For more information, visit Orange County Parks or call (407) 836-6200.